Sacred Hearts Academy joins Catholic Schools across the United States and Hawaii in celebrating Catholic schools in January. Over 8,000 schools nationwide joined in celebrating the gift of their unique educational system. As the state celebrates over 160 years of outstanding Catholic education in the islands, there are 42 Catholic schools providing education to over 15,000 students in 24 elementary schools, ten early learning centers, seven high schools, and a university. 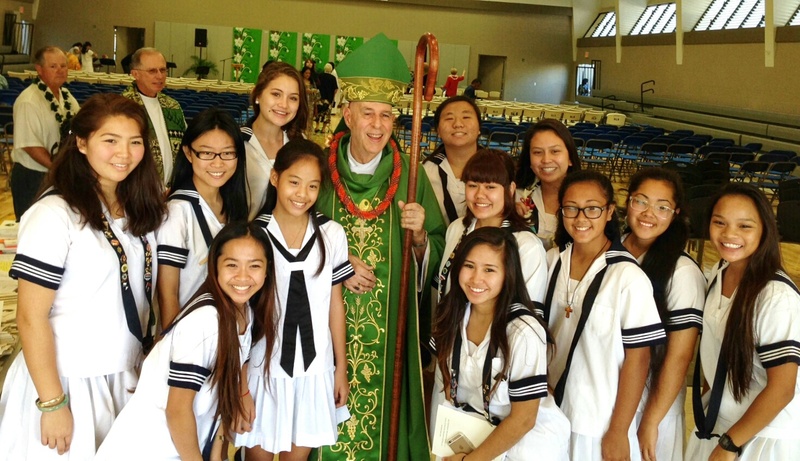 Collectively, Hawaii’s Catholic schools serve a ‘rainbow’ of ethnic, economic and religious backgrounds.